Wish to improve your brand awareness online? Need to generate better ROI from digital channels? Cooler Marketer is your answer. Offering content marketing and social media marketing tips, techniques and tricks which triggers actions, Cooler Marketer helps you to improve your online marketing efforts and optimize it for the long haul. Cooler Marketer is an online platform set up by Cooler Insights – a specialised content marketing, brand storytelling, and social media marketing agency. Our clients include MNCs, GLCs, government agencies, SMEs and start-ups. Founded by social media stalwart Walter Lim, Cooler Insights began over 12 years ago as a personal and business blog, and was registered as a content marketing agency in August 2014. Walter has 23 years of senior management experience in Marketing, Public Relations, and Corporate Development. Former Director of Marketing and Corp Comms for IRAS, National Gallery and National Heritage Board, he was one of the pioneers of social media in the public service. 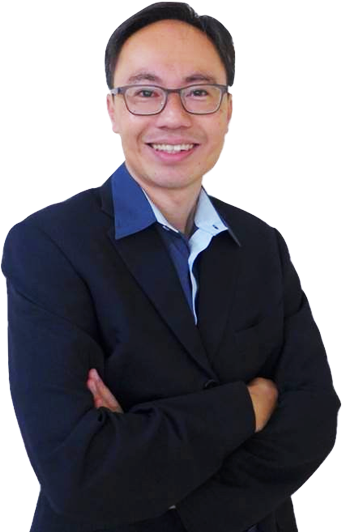 Member of the Media Literacy Council (under IMDA Singapore), Walter was a judge of SPH’s Singapore Blog Award for 5 years, and a juror of Mumbrella Asia Awards in 2017 and 2018. He also received the 2018 Certificate of Appreciation by S. Iswaran, Minister for Communications and Information, for being an advocate of digital literacy and positive internet behaviours. Walter’s clients include Pan Pacific Hotel, PARKROYAL Hotel, Mount Elizabeth Medical Centre, Coca-Cola, HDB, Ministry of Information and Communications (MCI), Gleneagles Hospital (Penang), SPH, DrGL (owned by Dr Georgia Lee), Jurong Point, Bosch, NTUC First Campus, People’s Association, MoolahSense, Specialist Dental Group, Hwacheon Asia, Best Electricity, and many others. An ACTA certified trainer, Walter conducts public and customized in-house training in content marketing, social media marketing, and PR. To date, more than 1,300 participants and students have benefited from his training and mentoring. Promoted to account manager in a major investment firm after only 8 months for excellent performance, Tina was an organisational change agent in leading organisations like NTUC, IDA, LTA, A*Star, NEA and PSB (now SPRING Singapore). Prior to Cooler Insights, Tina was the Deputy Director of IT in NTUC HQ. There, she spearheaded 4 Facebook Fan Pages for NTUC Communities, and managed an NTUC PME Workplace Advisory Mobile App. At IDA, Tina managed industry briefings where over $2.2 billion worth of IT tenders were announced. She also helped LTA, NEA and A*STAR to achieve national quality certifications on their business excellence journey. June has over a decade of experience in PR, investor relations, and social media content. 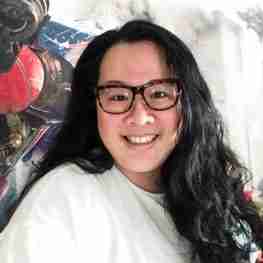 Her personal blog, mamawearpapashirt, was shortlisted as a finalist in the 2012 Singapore Blog Awards, and featured in various media, including Channel News Asia, News Radio 93.8, and The New Age Parents. Formerly a PR and investor relations consultant, her past clients include Tigerair, Oxley Holdings, Sincere Watch, MDIS, and The Commissioned. June contributes regularly to Singapore Motherhood website and Motherhood magazine, and currently writes for Expedia website and petite travellers blog. 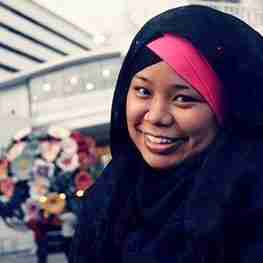 She graduated from the University of Melbourne with a First Class Honours degree in Media & Communications. Evelyn has almost 20 years of experience in the editorial field from copywriting to music journalism. 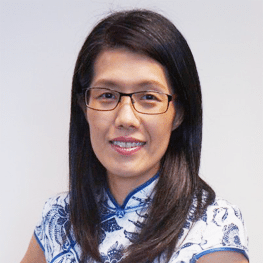 Her clients include the LKY School of Public Policy, NewBase (formerly Publicitas Singapore), KiasuParents.com, Friso Singapore, Capitol Piazza Mall, Singapore Airlines, EDB Singapore, Reader’s Digest and Discovery Channel Magazine. As a parent blogger, Evelyn was selected as Best Family Blog finalist in the 2013 Singapore Blog Awards organised by SPH. 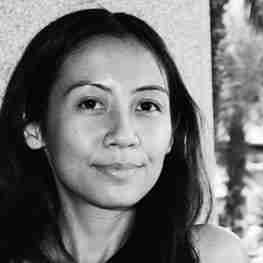 She graduated from the National University of Singapore with a Master of Arts in English Literature. 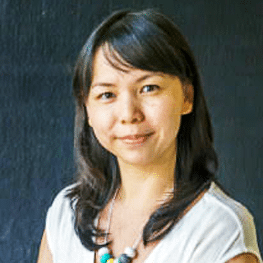 Kar Peng has 11 years of experience in journalism with MediaCorp, Singapore Press Holdings’ The New Paper, and Singapore Press Holdings’ Young Parents magazine, with a last-held position of Associate Editor. Specialising in personality interviews and features, she was sent to cover numerous international events in Hong Kong, Tokyo, Seoul, and London. Received 3 internal SPH awards in her 4 years with The New Paper. She also has 3 years of experience in public relations, writing media kits and working with prominent local F&B and FMCG companies as well as media outlets. Bachelor of Arts and Social Sciences (English Language and Philosophy) from the National University of Singapore. Leona spent 10 years knee-deep in Online/Social Media Content and Marketing. She started her “digital” life over 15 years ago with Lycos Asia, managing their lifestyle web content before moving on to try her hand at social media. Leona was with Resorts World Sentosa for 10 years, heading their social media and content team. She started the company’s social media initiatives back when social media wasn’t an In thing yet and led their blogging strategy and internal staff newsletter. Beyond that, she also has 15 years of editorial experience on topics ranging from Community Care, technology, movies and more. Currently, she’s deeply entrenched in all sorts of writing, with anything from press releases, blog articles, features articles, social media content, annual report writing… you get the idea. Reuben is trained in content marketing, social media marketing, email marketing, google analytics, and search engine optimisation. He has honed his digital marketing skills with companies such as Best Electricity and Kaplan Higher Education Institute. He also possesses a wealth of experience in account management. The former RSAF Finance Lead Officer was in charge of managing assets amounting to millions of dollars, ensuring funds were spent in accordance to guidelines, and anchoring annual finance audits. His unit displayed marked improvements in finance under his leadership. 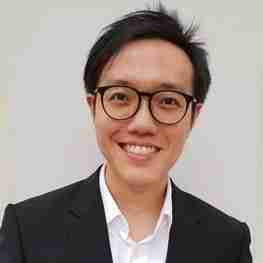 Reuben possesses a Second Upper Class Honours degree in Political Science from the National University of Singapore and was a top student in the University of Oslo during his Overseas Spring Program. 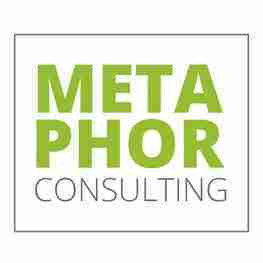 Metaphor Consulting is a multimedia company providing digital design services. Kelly is the key person behind Metaphor Consulting’s design arm. She has over 20 years of experience in the graphic design and web/UI design field. Kelly has helped to tender and won government design projects from Nanyang Technological University and National Institute of Education. Metaphor Consulting’s past clients also include National University of Singapore (NUS), National Trade Union Congress (NTUC) and MediaCorp Technologies. Laurentia graduated from Middlesex University, UK majoring in Bachelor of Arts (Hons) in Web Development. Multimedia Designer with skills in branding identity, social media posts, photography and video editing. Expertise in web design, mostly in CMS (WordPress), as well as flat designs, user interfaces, typography, and illustrations. Clients include Jurong Point, Specialist Dental Group, Caterpillar Florist, Happily Eden After, National Kidney Foundation (NKF), Kiddiwinki, and Dapoer yoena (Indonesia). 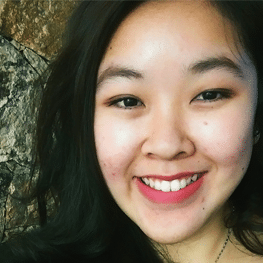 Liyana is a productivity strategist who spearheads a Virtual Assistants business in Singapore, VA-SG.com. Created and cultivated various online community groups on platforms such as Facebook, Meetup and LinkedIn. Attained Professional Certificate in Networked Life, University of Pennsylvania and Startup Engineering, Stanford Online, Stanford University & Lean Startup Certification from Lean Startup Machine. 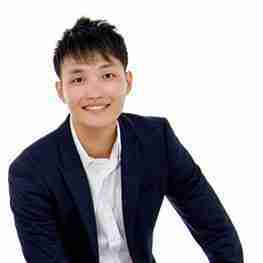 Marcus Wong is a digital marketer who specializes in holistic SEO. He runs an SEO Blog and website called SEO Good Guys. Marcus has been helping Singaporean small and medium businesses in SEO since 2011. His style of holistic SEO focuses on building a business’ brand and authority in order to achieve long term ROI. He believes SEO does not belong in a vacuum, and synergy with other channels of digital marketing is key to a website’s success. Marcus has worked with a range of clients including: Singapore Sailing Federation, Boxgreen, Chère: Weddings & Events, Starlite Systems Technologies, Einstein Tuition, Web Imp Pte Ltd, The Orthodontic Clinic, Asta Academy, and many more. Helping businesses to go digital since 2005, Design Prodigy is passionate about changing how business and work is conducted through the enabling power of digital technology. To deliver sustainable results to clients, it constantly research and implement new and improved techniques in digital marketing. Design Prodigy focuses on digital marketing solutions which focuses on end-to-end engagement, and they include Semantic Search Engine Optimization (SEO) and Marketing Automation focused on Marketo as a solution. To date, Design Prodigy has helped many blue chip companies to achieve their digital goals. They include the Mount Elizabeth Medical Centre, Gleneagles Penang Hospital, Bodynits, Specialist Dental Group, Novena Medical Centre, Pan Pacific Hotel Group, Singapore Press Holdings, and many more. Lemonade is a full-service web design agency in Singapore that specialises in meaningful digital brand experiences that persuade, sell, and inspire. It specialises in web design and development, brand design and web marketing. By employing a step-by-step approach to web design and development, Lemonade ensures that it’s not only humans that understand its client’s brands, but search engines too. Lemonade has served more than 500 clients with many long term customers. They include Bayer, Pezzo Pizza, SNCF, Irish Chamber of Commerce and many more.